"Bruce A. Borders was born in 1967 in Cape Girardeau, MO. Bruce’s childhood years were spent in a number of states, including Missouri, Oregon, Wisconsin, and Wyoming. During his high school years, he was a member of the football, basketball and track teams, involved in various non-athletic activities such as school yearbook production and photography, and won numerous awards for his artistic creations. Bruce graduated Valedictorian in 1984. While in school, Bruce held three part-time jobs; a store clerk, a janitor, and a dental technician, working about 60-70 hours per week. After graduation he became employed full time as a dental technician. Other jobs have included restaurant manager, carpenter and grocery store cashier. For the past sixteen years, he has worked as a commercial truck driver, logging more than two million miles. At the age of fifteen, Bruce decided to become a writer. He began by writing songs, news articles and short stories. Eventually, books were added to the list. 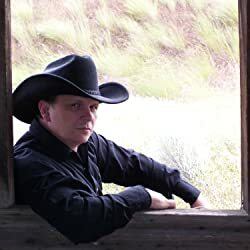 Over the years, he continued to write and currently has a catalog of more than 500 songs, numerous short stories and over a dozen completed books. He writes on a variety of subjects such as the Bible and politics, as well as fictional novels of legal issues and westerns. Titles include: Inside Room 913, Over My Dead Body, Miscarriage Of Justice, The Journey, and in The Wynn Garrett Series - Mistaken Identity, Holy Terror, Remote Control, Judicial Review, Even Odds, Safety Hazard, and Dark Day. For more information please visit http://www.bruceaborders.com or http://bruceabordersbooks.weebly.com"
Please enter your email address and click the Follow button to follow Bruce A Borders! All cats can be a little strange! Some might even be crazy! But it takes a smart cat to pull off some of the things this lovable cat named Stupid does! Follow his adventures, told in his own words. (Based on the life of a real cat, who thanks to his head-shaking behavior, earned the nickname of Stupid). The Little Green Man In The Red Apple Tree and other short poems for kids (and anybody who once was). A collection of more than thirty funny and amusing stories of tall tales told in rhyme. Illustrated by the author. Over 60 short, true stories from the weekly blog of author Bruce A. Borders. Told with a touch of humor, these real life experiences show that life is ironic, amusing, and usually far from serious. With nearly 100 versions of the Bible in print these days, how do we know what is the actual Word of God? Does it matter? A look at history and facts concerning Bible translations and why the King James Version is the one.